To enrich the lives of adults challenged with intellectual and developmental disabilities by providing housing and opportunities to learn, experience and achieve. To be the leading provider of exceptional services for people with disabilities and the employer of choice offering rewarding careers to those we employ. Together, we will promote innovative and person centered supports for inclusion within our community. intellectual and developmental disabilities in Linn County. Whether it’s providing a comfortable home, teaching a new social or self-care skill, organizing group activities, or helping with job preparedness skills—everything we do supports a single goal; empower our people to achieve their highest potential when they live, learn, work and play with us. In short, we help our residents lead happy, healthy and fulfilling lives. 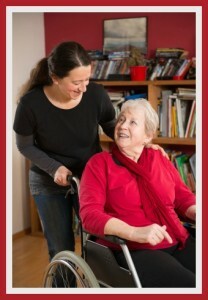 Fostering the growth of our resident’s self-reliance and helping them to live safely and as independently as possible. Hands-on assistance with daily living skills, coordination of leisure activities, and life skills coaching. Sign up to receive Chamberlin House Inc.’s announcements and periodic e-newsletters.